The Battle of the Reik is won, and Nagash defeated. Yet the forces of the undead are not so easily destroyed. The power of Chaos infuses the dead remains of Krell, and he yet ravages the lands of the Empire. Sigmar and his band of heroes vow to track him down and destroy him forever. One loose end I left at the end of God King was the fate of Krell, the Chaos Undead champion who gets shredded by the Empire-fixed Volley Gun. 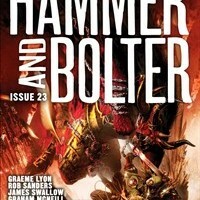 I’d always intended to return to this in a later Time of Legends novel, but as my plans for those didn’t really favour that storyline appearing (at least not without a lot of shoehorning) I decided to take it elsewhere, specifically to Hammer and Bolter, where it was broken into two parts, and subsequently printed in the Sigmar Omnibus. And, in case you’re wondering, the title is a neat way of tying together the hugeness of Krell’s axe with notions of vengeance and a quote from Shakespeare. Me writist, me clever! By the end of God King, a lot of the characters we’d shared the journey with were dead or missing or going rogue. It was time to bring in the new blood, and this seemed like a good place to bring some of the youngsters who’d dropped in and out of the story over the years to the fore. Cuthwin and Wenyld, the youngsters who first creep across the square in Reikdorf in the opening pages of Heldenhammer, were a great fit with what I wanted to do, as were Teon and Gorseth and the warrior of the Red Scythes, Leodan. 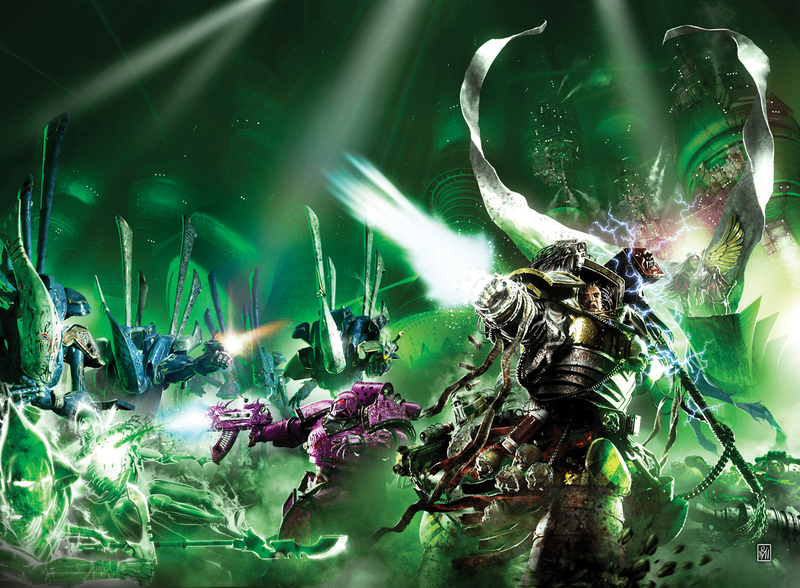 This was the perfect opportunity to tie off Krell’s loose end (as it’s one of the few ‘facts’ we know of what Sigmar got up to in the wake of Black Fire Pass and the Battle of the Reik) and for me to get to know the new characters I’d be using when I next came to write a Sigmar novel. And any chance to use Alaric the Mad is always welcome. The hunt for Krell threw up some interesting moments, not least of which was the introduction of Bransùil the Aeslandeir. The time of Sigmar is a time where the institutions of the Emprie as we know it just don’t exist. There’s no wizards, no engineers, no warrior priests and, crucially, no magic in the hands of the Empire. It’s the Empire stripped of all that makes it the Empire, which is a tremendous Tabula Rasa, but also gave me a chance to show a kind of proto-version of magic in the Empire, while also hinting that it may not turn out too well. Hence why magic doesn’t become part of the Empire until Teclis teaches it to the race of Man during the Great War against Chaos. The hunt and fight against Krell harks back to some of the characters lost along the way over the three Sigmar stories, and what will come in the future. It has a trek into the mountains that introduces another villain race of the Warhammer World, a hint of a future antagonist for Sigmar and the Empire (if I ever get the chance to return to the Time of Legends series, my next Sigmar book was to be called Underempire. Make of that what you will…).